In terms of what you can do to help your tree grow and remain health, here are a few ideas for you. 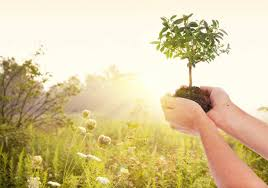 When you have recently planted a tree (a newly planted tree is described as a tree that has been planted within the last three years) it will need to be regularly water and inspected for any potential bugs that may start to attack the sapling. It is key at these early stages to ensure that you are doing all you can so that the tree can thrive. A new tree can need as much as 114 litres of water each week – this can depend on your soil type and the species of tree, so it is best to follow any guidelines you were given after purchasing the tree. There are ways that you can make the most of the water that you are adding to your tree so as not to be wasteful. These include using a hose on slow release to trickle water to the base of the tree for around half an hour a day as needed or using a bucket that has holes in the bottom that you can fill up and that will release slowly throughout a given period of time. 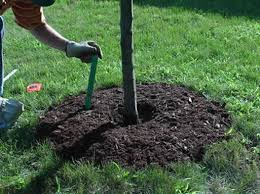 Adding mulch to the base of the tree every year helps to retain some of the moisture at the base of the plant and can also help to naturally control weeds by making it difficult for them to grow up through the mulch. You should always make sure that you leave at least a three-inch gap between the starting of the mulch and the trunk of the three, this is to help prevent the trunk of the tree from being permanently damp.